Courtesy of Scott Ferguson, ERA Real Solutions Realty. The house AND land you x’ve always dreamed of! Move-in ready, newly renovated home with all new LVP floors, fresh paint, incredible eat-in kitchen with all new cabinets, appliances and more granite countertops than you will know what to do with. Family room with fireplace insert. All new lower level made for entertaining with a walkout and a possible in-law suite. Get ready to enjoy the spring and summer evenings on the tiered deck with a beautiful view of your land and woods. Store your toys in the detached 30×50 garage. 6.75 acres with a pond and several creeks/streams to ride your side X sides, hunt or fish. No showings until 3/15. Please, send me more information on this property: MLS# 785856 – $323,000 – 2810 Somerville Road, Somerville, OH 45064. 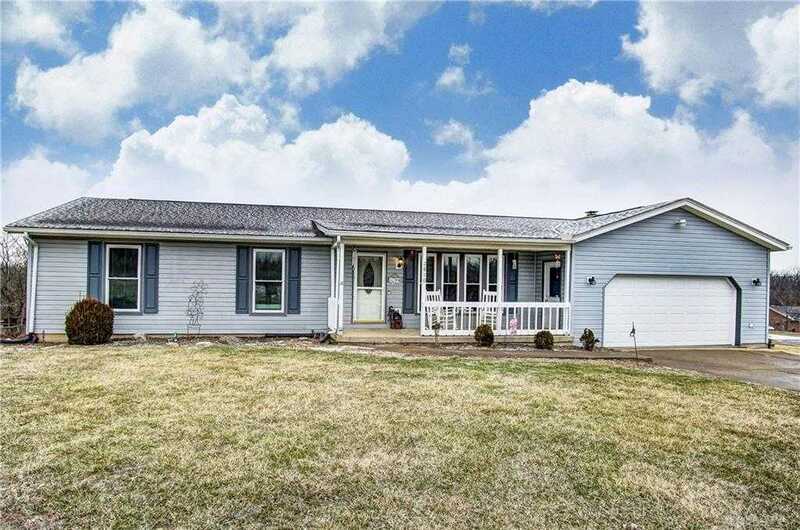 I would like to schedule a private showing for this property: MLS# 785856 – $323,000 – 2810 Somerville Road, Somerville, OH 45064.